Why does it seem like negative thoughts have so much power? Think about your own life for a few moments. Remember when you went out with a new group of people for the first time? The whole night went really well. You connected with everyone, made some great new friends, and generally had an awesome time. But there was that one moment when a joke didn’t quite land, and you felt awkward for a few seconds. When you’re laying in bed later that night, which part of the evening stands out? Are you thinking about how much fun you had, or are you dwelling on that brief moment when you felt uncomfortable? What about that time you sat down for an annual performance review with your boss? They praised your skills and work ethic, thanked you for your contribution to the team, and then offered one brief comment on an area where you could improve. When you think back on that interview, where is your focus? Do you replay the compliments you received, or do you dwell on your need for improvement? Negative thoughts seem powerful because they are powerful. According to some psychologists, human beings are hardwired to focus on negative thoughts or experiences. Evolutionarily speaking, this ability to recognize and focus on negative consequences probably helped us survive as a species. Though we no longer need it for survival, we’re still hyperaware of negative thoughts and feelings. Researchers say that negative events have close to three times the impact of positive events. If that’s the case, how can we get rid of negative thoughts and keep them from sticking to us? There are lots of techniques you can use to break patterns of negativity, but one of my personal favorites is a trick called black journaling. I first heard about black journaling in a course I took from my friend and mentor, Brittany, from Ladder of Life. She was teaching a class on ways to rewrite the negative stories we tell ourselves each day, and she named black journaling as one of the most powerful tools for eradicating negative thoughts. Essentially, black journaling is about breaking negative thought patterns by following them back to their source. When we react negatively to a person or situation, those responses typically stem from something deeper. It could be connected to insecurity we’ve been harboring for a long time. Maybe it’s linked to an event from our past that made us feel similarly. Maybe it’s tied to something we fear. Black journaling is about figuring out where those negative thoughts come from and cutting them off at the source. A journal, notebook, or loose-leaf paper. If you’re using a journal or notebook, make sure it has pages that can be easily torn out and thrown away. Discarding your black journal pages is an important part of the process. Don’t worry about spending a lot, or really anything on the supplies for this project. You can find some cheap supplies to use here. Something to write with—a pen, pencil, marker, etc. A quiet place where you can sit and write without being disturbed. You can use this technique any time you catch yourself in a pattern of negative thinking—if you’re dwelling on a bad experience, if someone in your life hurts or offends you, or even if you’re just struggling to be happy. If you want to break out of that rut, just grab some paper and follow these steps. Free write. After setting up your prompt, write down anything and everything that comes to mind. Don’t worry about grammar or formatting. This isn’t for anyone else’s eyes. This part is all about unloading your negative feelings, similar to a brain dump. Watch for what comes out. 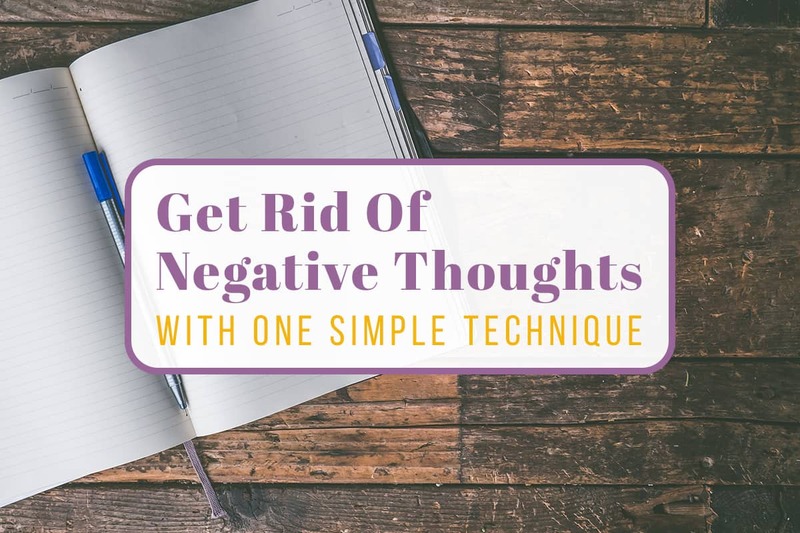 As you write about the reasons you’re stuck in this negative thought pattern, the source of the negative emotions will come out. Sometimes it only takes a few seconds. Sometimes it takes longer. Eventually, though, you’ll shine a light on a fear or negative belief that you have that’s been holding you back. Discard what you’ve written. This is one of the most important steps. You’re not writing all this negativity down so that you can come back to it later and dwell on it. When you feel that you’ve said what you needed to say, it’s essential that you discard what you’ve written. Burn it, if you want to. Rip it up. Crumple it up and throw it away. Get rid of it with the intention of releasing it from your mind as well. For me, this is the most satisfying part of the whole process. Physically discarding my negative thoughts makes me feel like I’ve emotionally discarded them as well. 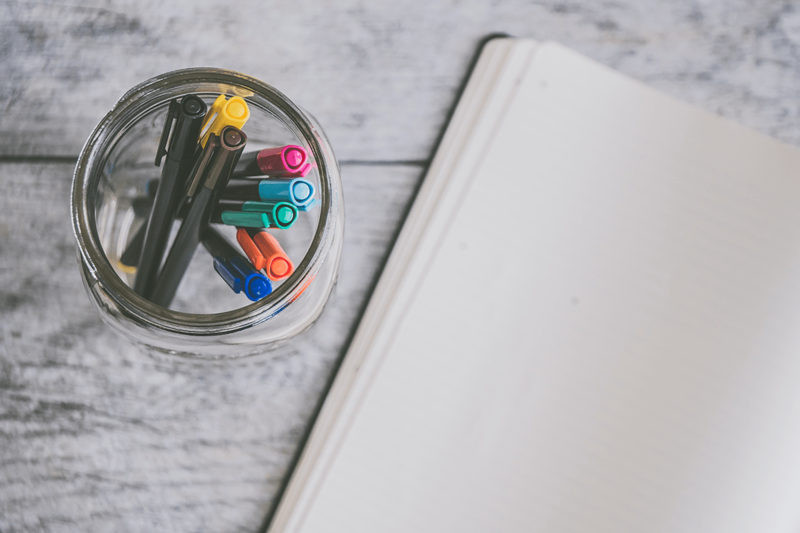 Black journaling gives a name to our negative thoughts. It gets right to the root of the things that frighten us or hold us back. It can be a little bit overwhelming in the moment, but I’ve consistently found that giving a name to my negative thought patterns makes them so much easier to face. Often, I can step back and see that I’m being held down by an irrational fear that doesn’t hold up at all once I’ve shined some light on it. Sometimes, I find that my negative thoughts are being caused by something real, but even those things are easier to process once they’ve been identified. I can also recognize them when they crop up again, which gives me more power to fight back. Unfortunately, there is no magic cure for negative thinking. It happens, and no matter how positive we are in general, we all slip into patterns of negative thinking from time to time. 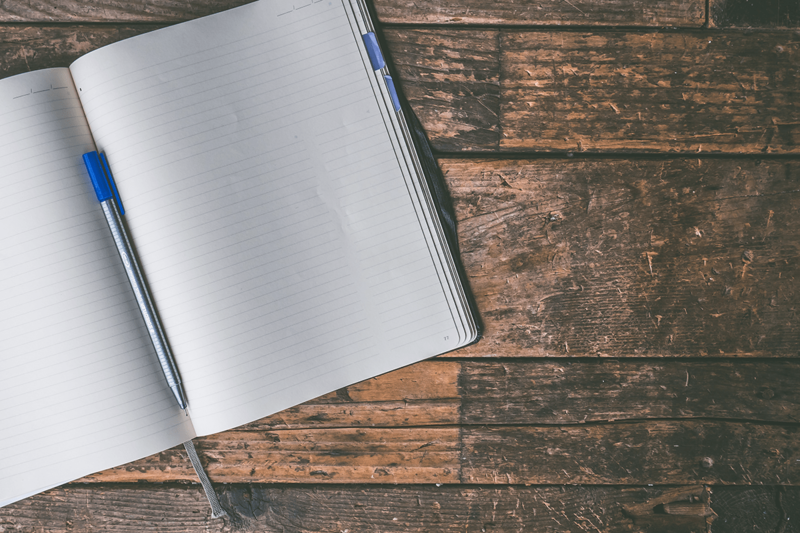 Black journaling can be a powerful way to break the cycle. Negative thinking might be evolutionary, but that doesn’t mean we can’t take back control. Thank you for sharing that. Wonderful idea and helps us feel empowered when we were feel quite the opposite. This is so true, Terri! Turning those negative thoughts and feelings into something positive makes such a difference. I’ve always used writing to deal with my inner self. I’ve written on balloons, then sent off into the sky, burned pages in bonfires, tied them to branches, what ever I thought would do the trick. I became an avid bullet journalist and used it to make life changing progress. What I haven’t done is have a journal devoted to negative thoughts which I then destroy. Sometimes when I make a breakthrough, it’s like I have mental/emotional flu for a few days. I’m disabled, which makes it tough to get moving again. I’d just come across this post the day before and it resonated with me. I labeled a small notebook Black Journal and wrote about how I felt. Nothing new there, the same old demons I fought all my life. Turned out, the cheap paper in that notebook tears perfectly down to tiny squares, very satisfying! Today I’m over my mental flu! Evidently my ADD/Autistic brain loves the idea. I think to give the notebook more power I will decorate the cover. I like the idea that the journal may stay, but the negative ideas/feelings go. Thank you for being part of my progress! It sounds like you’re already doing half of this which is so great Samantha! I hope the additional part of destroying those papers brings another level of healing for you on this journey. Thank you for this! I love that it is called “black journaling”–it is almost as though I am black listing the negative thoughts/situations from my life. I think that was the premise behind the name, which fits so well just like you said Gretchen! Enjoy! I think when I throw out the black journaling pages, I’ll rip them up, toss them in the potty before I pee. Flush them with my waste. Waste and wasteful thinking down the drain! What a great post! FYI, even we old mature folk feel awkward and relive all the stupid things we said/did during the day (I’m 54). This being an innate learning tool explains why no one outgrows this! Black journaling is a beautiful tip for making all that go away, and I am certainly going to try it. Oh gosh I love this! It just so happens that my cheap notebook is also black! I’m definitely going to have to put it to use with this technique. Thank you for sharing! It’s sounds like you have just what you need to try this one out right away Morgan! I definitely need to try this! I am quite consistent with my morning pages, but often I go to bed with some nagging thoughts and this trick might work great for letting go of the day and for a restful sleep! Thanks for sharing! What a great idea, Sarah! What a great way to balance out the mind before hitting the hay. I might have to try this myself! Definitely will be trying this!!!! I think you’re going to love it, Dazey!